Traditional lead generation tactics, directory advertising, trade show participation, half page print ads are quickly loosing appeal with small business marketers. There are two very good reasons for this decline 1) traditional methods are some of the most expensive and 2) traditional methods are proving less effective in terms of lead generation. Message and information overload, technology to block ads (caller ID, TiVo, XM radio), and the availability of information may make traditional and more expensive outbound marketing efforts a thing of the past. Small businesses must change the way they think about and approach lead generation – they must think more in terms of being found and less in terms of finding. People are still looking for solutions, trying out new services and buying things they want, they’ve just changed how they go about doing it. In a way the control of message consumption has changed with it. Technology has put the phone directory in our pocket, no need to travel to the trade show because the interactive demo is on YouTube, and blogs, search engines and social media sites provide all the product information, answers and reviews you could ever consume. So, in order to generate leads and be found you must put yourself in the path of people who are learning about, asking about, and shopping about in your industry. You must create a web presence or hub of information for your business and then create spokes, online and offline that lead people to your hub. Now, don’t get me wrong here, I’m not saying your lead generation must be done exclusively online, and I am also not say don’t use advertising – what I am saying is that your online presence is the hub of education and that your online and offline adverting, pr, and referral systems must utilize this new reality to its fullest. Think of it as lighting candles along dark paths so that weary travelers can discover you in the dark. Those candles are your education based entries in social media hubs like twitter and Facebook – gentle guides of introduction. They are your pr efforts and articles, written to illuminate your expertise. They are your blog posts, designed to attract surfers looking for the way. They are your strategic partnerships, alignments that evoke trust. They are your web conferences, providing interactive discussions with customers and prospects. 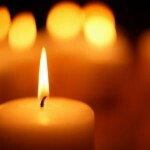 They are your community building events, places where candles can be re-lit and shared. You can no longer sit back, dump an offer in the mail and start working the phones, you’ve got to build your inbound marketing machine and start taking advantage of the power of information, networking, trust, connection, and community to generate leads.